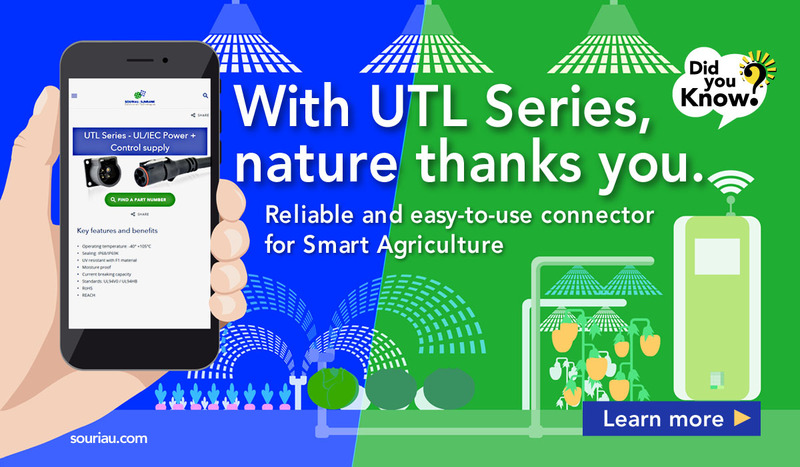 The UTL Series is ideal for lighting and outdoor applications, thanks to its IP68/69K sealing and current breaking capacity, and a stainless steel latch that allows quick and safe mating. Go smoke-free with our flame-retardant VGE1 & FER1 railway connectors which are compliant with all the major railway standards across the world. High density, high speed data, high modularity. Rectangular connectors are the cornerstone of all avionics and you can rely on SOURIAU to guarantee all the connections. Our MQuick Series comes with metallic retention clips that provide an audible ‘click’ when mating, and makes it easier to remove the contacts. 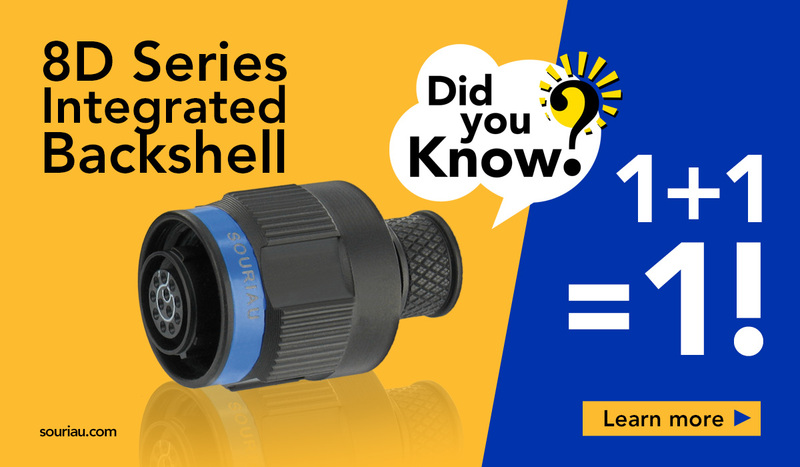 If you need to have many contacts but are squeezed for space and weight, the MicroComp series is your answer! 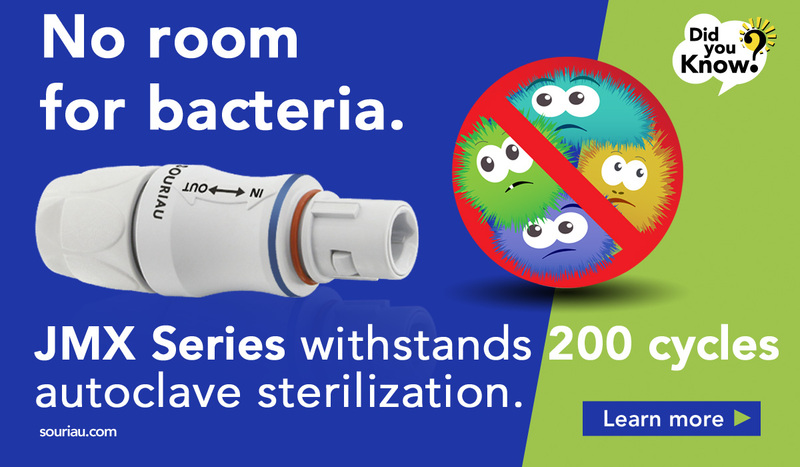 Thanks to its high-grade bioplastic and sealing, the JMX series can jump into the autoclave for sterilization and stay clean and safe for use. 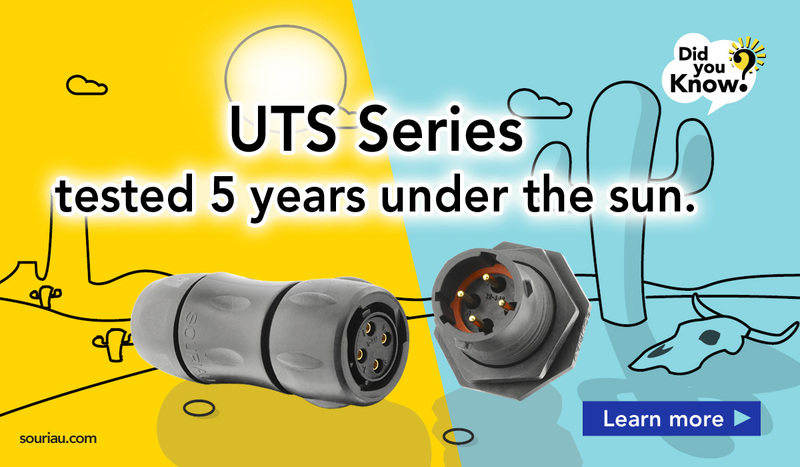 Even left out to dry for 5 years, the UTS guarantees a stable and smooth usage despite harsh weather conditions and temperature variations. 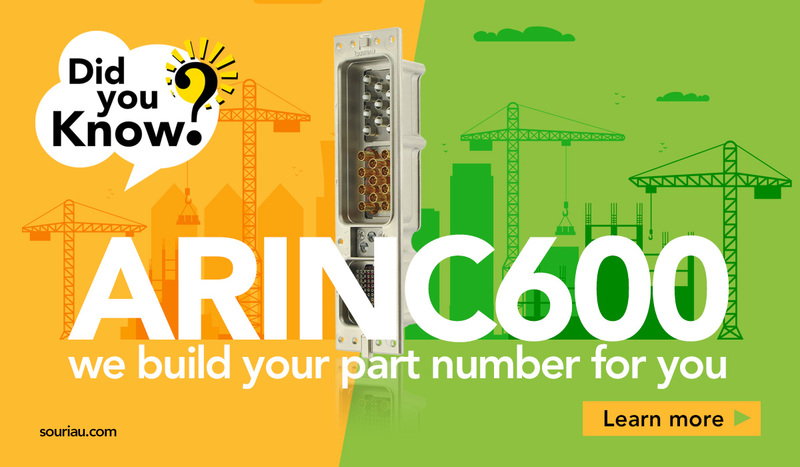 Did you know that the ARINC 600 is fully configurable, can integrate 38 different standardized inserts, and can hold up to 800 contacts? 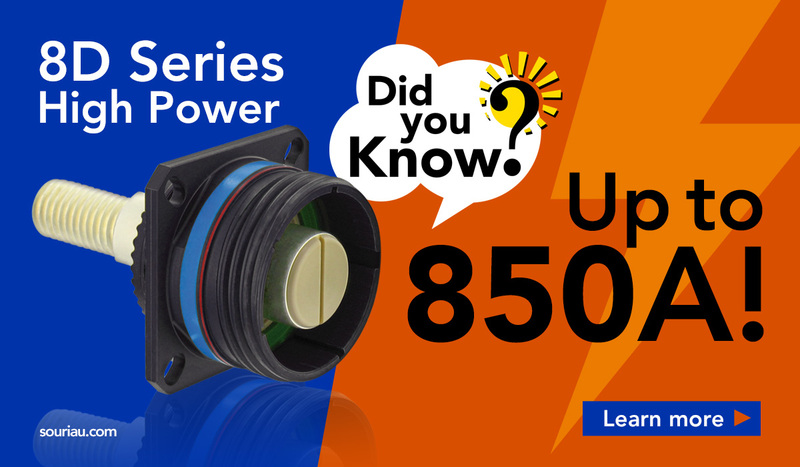 Our 8D Power Series offers high reliability and performance even under extreme mechanical and environmental conditions. Our 8D series is available with its own integrated backshell, ideal for quick and secure installation!